When purchasing through the 23andMe online store, it is important to remember that only one payment source can be used per order; the entire amount of your purchase must be covered by a single card or PayPal account. Additionally, the billing address you provide in the cart must match the address associated with your purchasing card. 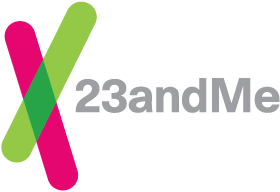 *If you are using a gift card or pre-paid card, you might need to register the card and set a billing address before you can complete your 23andMe purchase. The billing address you provide in the cart must match the address associated with your purchasing card. Can I use insurance to pay for your service?